"Date of Christ's birth uncertain in the 3rd Century. [p. 249] Uncertainty about Jesus’ birthday in the early third century is reflected in a disputed passage of the presbyter Hippolytus, who was banished to Sardinia by Maximin in 235, and in an authentic statement of Clement of Alexandria. While the former favored January second, the learned Clem- [p. 250] ent of Alexandria enumerates several dates given by the Alexandrian chronographers, notably the twenty-fifth of the Egyptian month Pachon (May twentieth) in the twenty-eighth year of Augustus and the twenty-fourth or twenty-fifth of Pharmuthi (April eighteenth or nineteenth) of the year A.D. 1, although he favored May twentieth. This shows that no Church festival in honor of the day was established before the middle of the third century. Origen at that time in a sermon denounced the idea of keeping Jesus’ birthday like that of Pharaoh and said that only sinners such as Herod were so honored. Arnobius later similarly ridiculed giving birthdays to “gods.” A Latin treatise, De pascha computus (of ca. 243), placed Jesus’ birth on March twenty-first since that was the supposed day on which God created the Sun (Gen. 1:14–19), thus typifying the “Sun of righteousness” as Malachi (4:2) called the expected Messiah. A century before Polycarp, martyred in Smyrna in 155, gave the same date for the birth and baptism placing it on a Wednesday because of the creation of the Sun on that day. Source: Walter Woodburn Hyde, Paganism to Christianity in the Roman Empire, pp. 249, 250. Copyright 1946 by the University of Pennsylvania Press, Philadelphia. Christmas: The supposed anniversary of the birth of Jesus Christ, occurring on Dec. 25. No sufficient data … exist, for the determination of the month or the day of the event… There is no historical evidence that our Lord’s birthday was celebrated during the apostolic or early postapostolic times. The uncertainty that existed at the beginning of the third century in the minds of Hippolytus and others—Hippolytus earlier favored Jan. 2, Clement of Alexanderia (Strom., i. 21) “the 25th day of Pachon” (= May 20), while others, according to Clement, fixed upon Apr. 18 or 19 and Mar. 28—proves that no Christmas festival had been established much before the middle of the century. Jan. 6 was earlier fixed upon as the date of the baptism or spiritual birth of Christ, and the feast of Epiphany … was celebrated by the Basilidian Gnostics in the second century … and by catholic Christians by about the beginning of the fourth century. The earliest record of the recognition of Dec. 25 as a church festival is in the Philocalian Calendar (copied 354 but representing Roman practise in 336). Source: A. H. Newman, “Christmas,” The New Schaff-Herzog Encyclopedia of Religious Knowledge, Vol. 3, p. 47. Copyright 1909 by Funk & Wagnalls Company, New York. 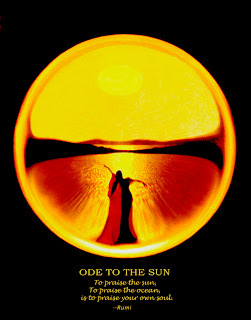 A star cult, sun-worship, became (in the third century A.D.) the dominant official creed, paving the road for the ultimate triumph of Judaeo-Christian monotheism. So strong was the belief in the Invincible Sun (Sol Invictus) that for example Constantine I (d. 337), himself at first a devotee of the sun cult, found it, indeed perfectly compatible with his pro-Christian sympathies to authorize his own portrayal as Helios. And in 354 the ascendant Christian church in the reign of his pious but unsavory son, Constantius II, found it prudent to change the celebration of the birth of Jesus from the traditional date (January 6) to December 25, in order to combat the pagan Sun god’s popularity—his “birthday” being December 25. Source: Frederick H. Cramer, Astrology in Roman Law and Politics, p. 4. Copyright 1954 by the American Philosophical Society, Philadelphia. Although Christmas is celebrated on the 25th day of December each year, the exact date of Jesus' birth is unknown. Most biblical scholars agree that the birth, in fact, did not take place in December at all, but probably occurred during the spring of the year. The Gospel of Luke states that the shepherds to whom the announcement of the birth was made were watching theirs sheep by night (Luke 2:8) which would suggest the lambing time (the spring). Only then did shepherds bother to guard their flocks around the [p. 206] clock. In winter, for example, the sheep would have been kept in the corral. Why, then, the 25th of December? Actually, the date was chosen not by the Christians, but by Romans, the traditional antagonists of the Early Church. Each year as the days became noticeably shorter in November and December, the Roman citizens feared that the earth may be "dying". With the "return of the sun" at the end of December resulting in longer days, the Romans celebrated the "Feast of the Sol Invictus" (Unconquerable Sun") on December 25. Bishop Liberius of Rome ordered in 354 that all Christians celebrate the birth of the Christ child on that day. Scholars believe that the bishop chose this date so that Christians, still members of an "outlaw religion" in the eyes of the Romans, could celebrate the birth of their Savior without danger of revealing their religious conviction, while their Roman neighbors celebrated another event. Source: The Christian Book of Why, by John C McCollister, copyright 1983, ISBN 0-8246-0317-6, published by Jonathan David Publishers, Inc. Middle Village, New York, 11379., pages 205, 206. [p. 89] A very general observance required that on the 25th of December the birth of the “new Sun” should be celebrated, when after the winter solstice the days began to lengthen and the “invincible” star triumphed again over darkness. It is certain that the date of this Natalis Invicti was selected by the Church as the commemoration of the Nativity of Jesus, which was previously confused with the Epiphany. In appointing this day, universally marked by pious rejoicing, which were as far as possible retained,—for instance the old chariot-races were preserved,—the ecclesiastical authorities purified in some degree the customs which they could not abolish. This substitution, which took place at Rome probably between 354 and 360, was adopted throughout the Empire, and that is why we still celebrate Christmas on the 25th of December. The pre-eminence assigned to the dies Solis also certainly [p. 90] contributed to the general recognition of Sunday as a holiday. This is connected with a more important fact, namely, the adoption of the week by all European nations."